Scam Phone Calls – St. Johns County is cautioning residents to be aware of scam phone calls regarding hurricane property damage assessments. The calls have automated messages from non-County phone numbers informing residents that County staff will be conducting damage assessments on private property. St. Johns County does not make direct phone calls to homeowners regarding hurricane property damage assessments. To report or confirm the validity of any phone call regarding Building Services, please call 904.827.6800. Upland Sources of Sand for Potential Use as Fill or for Beach Nourishment. Preliminary Upland Sand Source Inventory. Wind-Borne Debris Regions – Based on the Fifth Edition 2014 Florida Building Code, Wind Speeds established in St. Johns County: Category I is 122 mph and includes screen enclosures, temporary, agricultural, and minor storage buildings. Category II is 132 mph and includes all residential, most commercial, and buildings or structures not included in Categories I, III, and IV. Category III and IV structures is 142 mph and includes buildings and structures with a substantial hazard to human life and essential facilities. Please Note: Contractors in Florida performing renovation, repair and painting projects that disturb lead-based paint in homes, child care facilities, and schools built before 1978 must be certified and follow specific work practices to prevent lead contamination. Click for complete information and requirements. The Building Services Division permits and inspects construction activity in St. Johns County to protect the life, health and property of our community. Our contractor licensing program ensures that contractors have demonstrated the knowledge and experience required to perform their trade. The following links contain information that will help you complete your project successfully. Permit Status – Check inspection history and permit status. Cost Estimator – Calculate permit and plan review fees. Reports – Create reports about permit activity. Plan Log – View plan review comments and status. Contractor Search – Verify that a contractor is registered and allowed to work in St. Johns County. Private Account – Schedule or cancel inspections online. 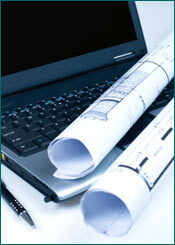 Online Permits – Permit mechanical, electrical, and plumbing.